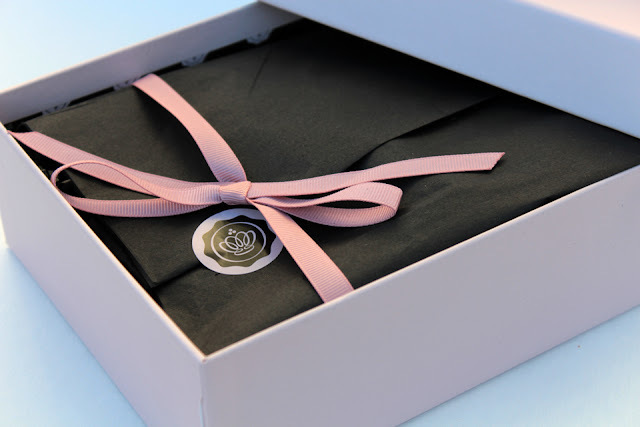 It's that time again... September's Glossybox. has made its way to my doorstep. I've been underwhelmed by the products I've received in my boxes. I think it was because of the high expectations I had from seeing the UK boxes (I mean, they had a Burberry lipstick once). While I enjoyed most of the products I have received, it's only recently [read: this month] that I've been wow-ed by Glossybox. This Glossybox is the first one I've paid for with my own money. The very first box I received was a promotional box, and the other boxes were paid using points I received from referrals. Before, I was happy with any product that I could find use for since it was basically free, but this time around, my expectations were high and I'm relieved Glossybox didn't disappoint. Aside from this being a great travel companion (because it's so compact) and smelling great, I'm indifferent towards this product. 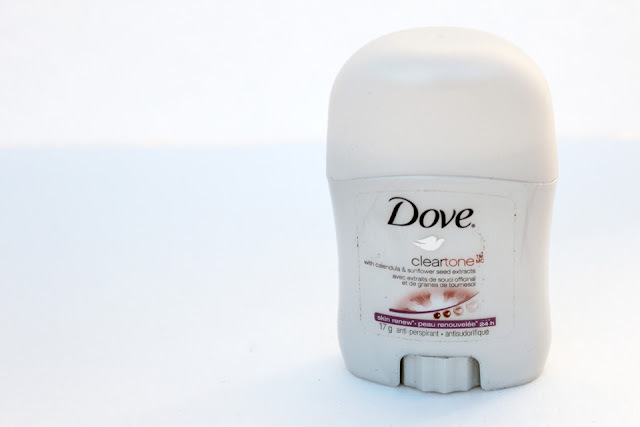 It's deodorant. Nothing special in my eyes. Besides, I'm quite loyal to Kiehl's Superbly Efficient Deoderant. I’ve been using it for years and I love it. 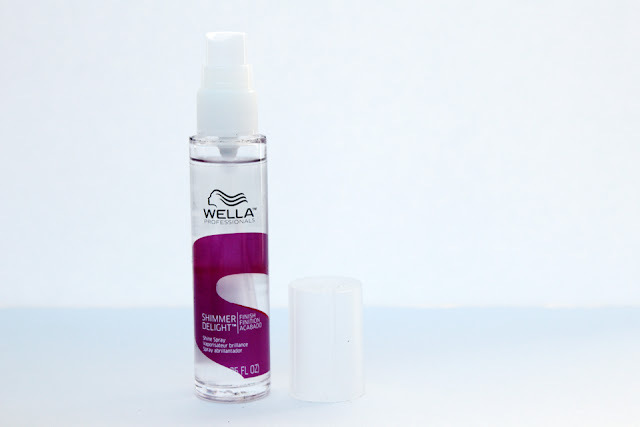 A mist that is supposed to leave your hair with a gorgeous shimmer. It reminds me a lot of Morrocanoil's shine spray. Same idea. Not a fan of the scent, though. I found it to be a little heavy on my hair. Might have been because I tried it on second day hair. I'll probably give it another go. This is a Canadian brand. I've purchased a couple of their products before, like their sunscreen and cleanser, and I enjoyed using them. 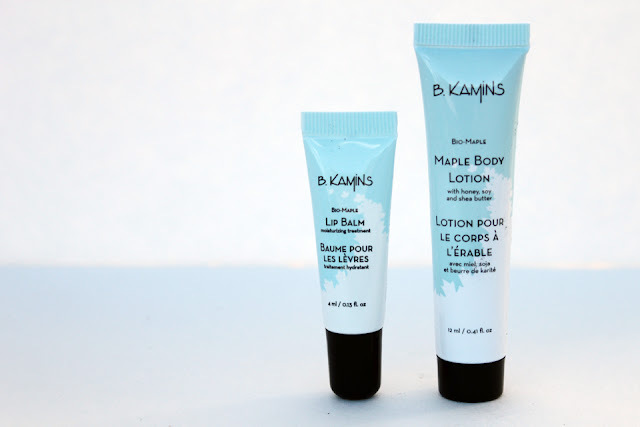 The lip balm is nice on the lips and the body lotion is nice on the skin (I was hoping it would smell like maple fudge, but no such luck). Other than that, I didn't find anything too remarkable about them. The feature product is this full-size makeup palette from NYX. It was such a surprise to receive this in the box. Highly unexpected. I've only tried a couple products from the brand in my lifetime, so I was quite excited to receive this. It's funny because I thought, based on the outer box, it was a DVD of Dark Shadows. 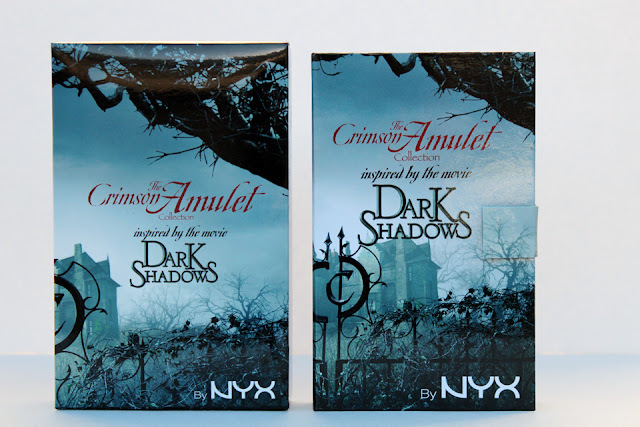 The palette reminds me a little of Urban Decay Book of Shadows, except this NYX palette is much better. Not only does it come with 24 great shadows, but it also has 5 blush shades, 1 highlight, 4 lip colours, an eye primer, and a mascara. So many different products. Great pigmentation on the shadows, blushes, and highlight. Sturdy packaging, large mirror, and even three looks to you can re-create. This probably deserves a whole post dedicated to swatches. Overall, I thought the box was great. 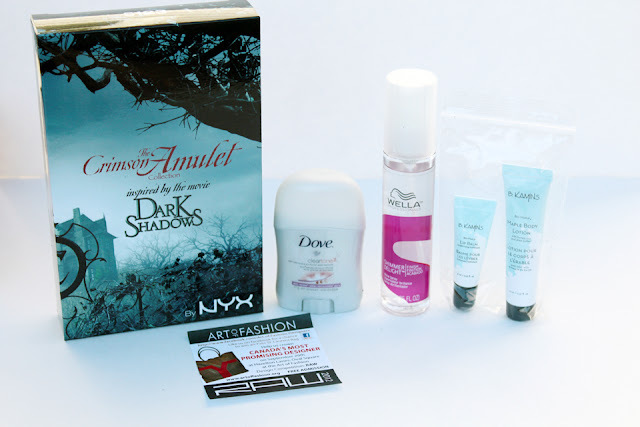 Well, if I'm honest, the NYX palette really made the box. I consider all the other products just bonus since I'm not sure how much use I will get out of them. If you have a post, please let me now so I can link it within my post. I think it's so much fun to see what others received / think of the products :). I was pretty happy with this months box, as well, however I understand what you're saying about expectations. The Glossybox launched in the US a 3-4 months ago as well, but at $21/m! However they've been receiving samples like Burberry lipsticks which we've yet to see anything even close to that high end level. I like Nyx, I love the palette and was very happy but...Burberry?! Holy cow!! Mine arrived today and I ended up with the exact same products in my box that you received. I was completely shocked (and delighted!) to receive the NYX palette!!! :0) NYX is a great brand and I have been wanting to try this for awhile now. Actually, they are on Hautelook today (until Wednesday morning, if you are interested) and I was considering getting this palette but ultimately decided I should be responsible and save my money, since I ordered a bunch of stuff from them the last time NYX was featured on the site. Good thing I didn't buy it earlier today!! Wow a palette in Glossybox? Sounds good.